"Jane Liddle, changed her name to Mrs J B Doughty. Barque Blenheim. 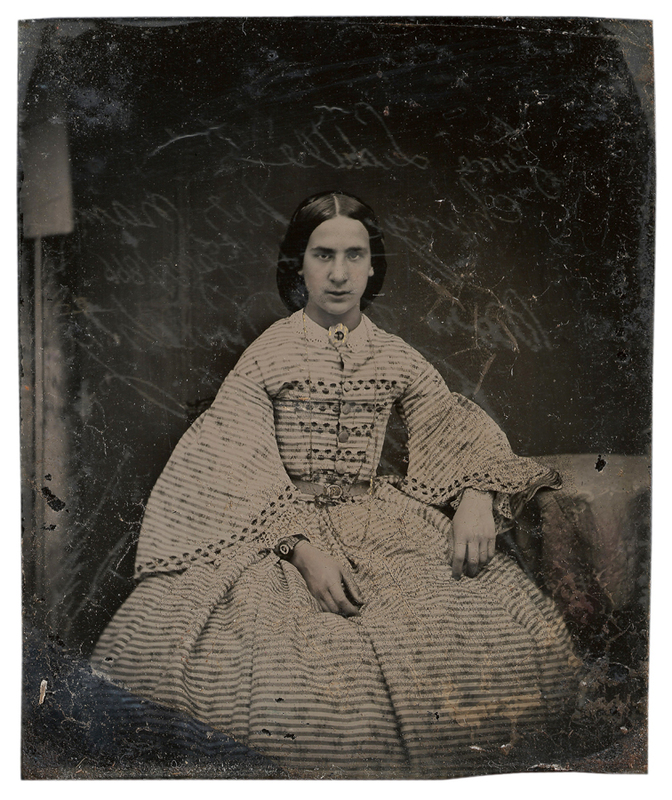 19th Jan'y 1866"
The photo must've been made around 1866 when Jane was 19 years old. in London on January 19th 1866. They were both from Whitby, England. 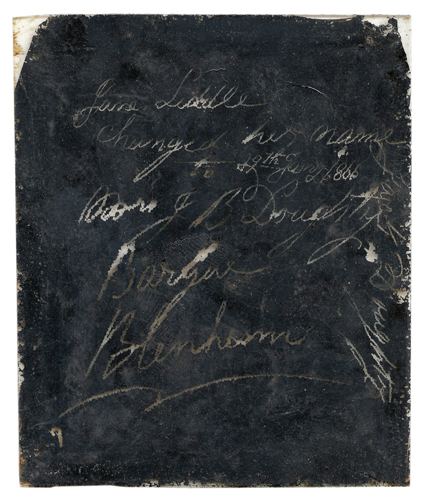 John Booth was an apprentice in 1857, at the age of 16. In 1871 he was captain of the Bachel Latinga. He died in 1875 in London. Jane then took over a shop for wool in Whitby from Mrs. Thistle. frills, tibs, Angolas, and Worsteds in all shades. She also did machine work.